Air Conditioning is a part of every day life. October 15, 2018 (Washington D.C.) Air Conditioning Guys – Becerril Family Co Helps Commercial HVAC Replacement. Since the turn of the century when air conditioning was invented. Air Conditioning has been a part of every day life and helped the United States become the economic leader it has become. Air Conditioning Guys- a Becerril Family Co is proud to be among the few Board of Directors for the Air Conditioning Contractors of America (ACCA) which represents more than 60,000 HVAC companies, technicians, tradesemen, sheet metal and related indoor comfort professionals. This year was a great year full of amazing accomplishments for the Air Conditioning industry. 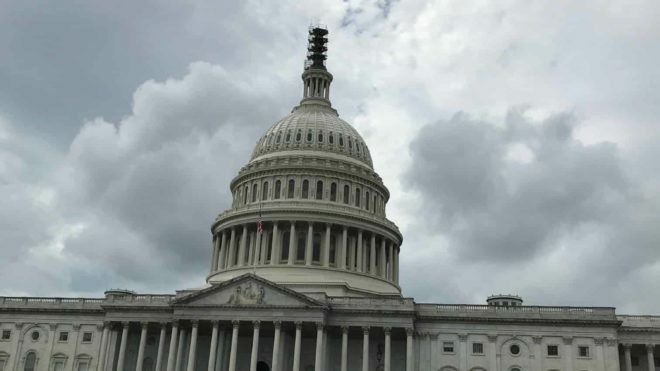 The big legislative win was the HEAT ACT that was passed into law and signed by the President earlier this year. 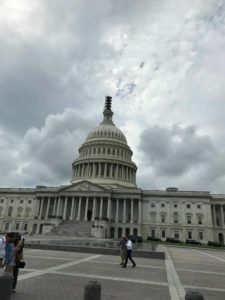 It took a lot of lobbying Congressional and Senate leaders by ACCA Board members and Government Relations Staff James Barton and countless emails and fact sheets sent out, but it passed and is available for the Commercial Building Owners operators and managers to use. Expensing of the HVAC Commercial Air conditioning equipment the year it is installed! How’s that for tax savings and Energy Efficient systems replacement. 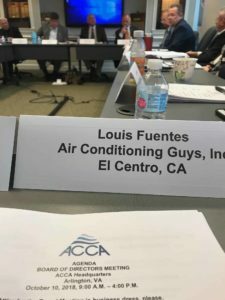 Louis Fuentes, President of Air Conditioning Guys, Inc.- A Becerril Family Co. has been on the Board of Directors of ACCA since 2016 and is proud to have been a part of this major change for our industry. 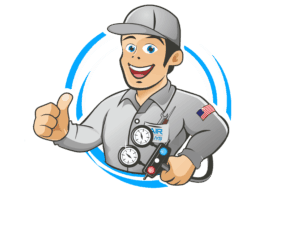 Air Conditioning Guys is based in San Diego and El Centro and has been a provider of home comfort systems in the desert Region of California for 3 generations.